Thermic multilayer co-extrusion film, with EVA/EBA copolymers, Non-Diffused and White colour (H), enhances the properties of the film with the correct application of raw material in each layer. 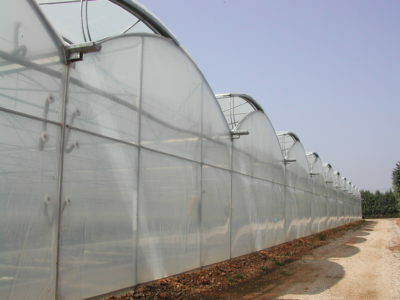 This film has been specially designed to cover tunnels and greenhouses, providing a high resistance to degradation for solar radiation or chemical attacks, due to its special package of U.V. additives. It also has an effective antifog effect. The external layer, with a low content of Eva, provides high U.V. resistance, very good mechanical and anti-adherent properties. 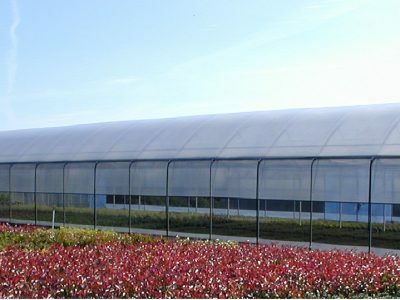 The central layer, with high Eva content provides excellent transparency, flexibility and optimum thermic effect. 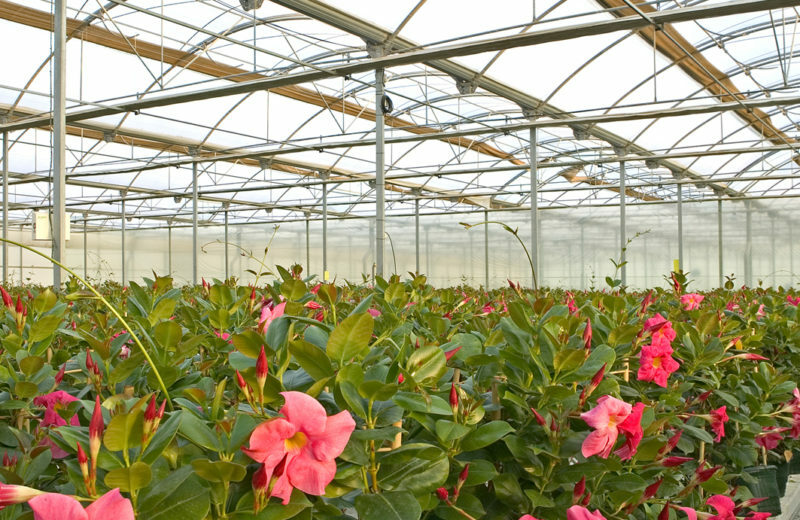 The Internal layer, with anti-condensation properties, helps avoid the loss of luminosity inside the greenhouse and cryptogrammic diseases due to continual dripping. Great mechanical properties, combining the properties of EVA / EBA copolymers and those of LDPE. Optimum thermo-insulating effect avoiding possible thermic inversions. High global transmission of visible light (92%), recommended for crops that require high luminosity and for climates with variable thermic differences. (*) Minimum duration guaranteed will depend on climatology and radiation of the country or zone where the film is going to be used, and the thickness of this.